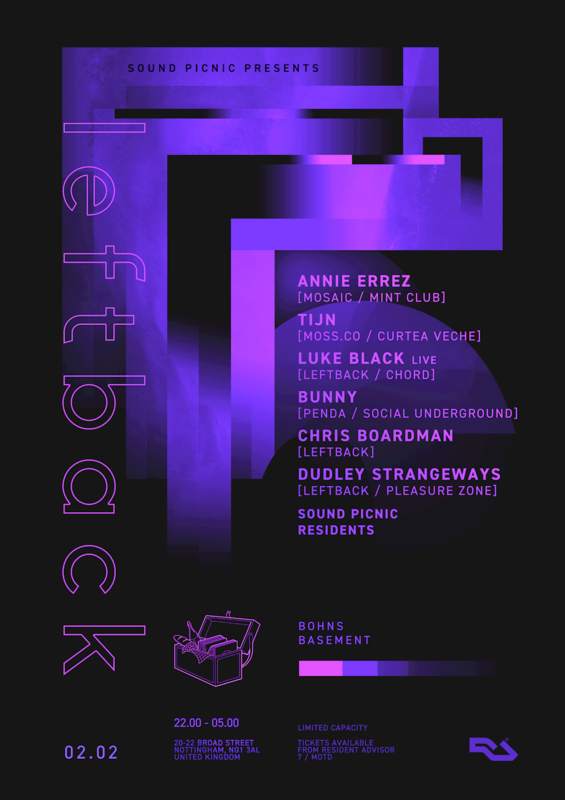 Sound Picnic presents 5 years of Leftback. Next up we showcase a record label that sets the benchmark for many. Leftback Records is firmly rooted within our beloved city but it reaches far beyond. Currently, on their 16th release, the predominantly vinyl only imprint is a regular in the record bags with support coming from all across the board. For this party, they have invited along their extended family as we go underground into space yet to be used for dancing!